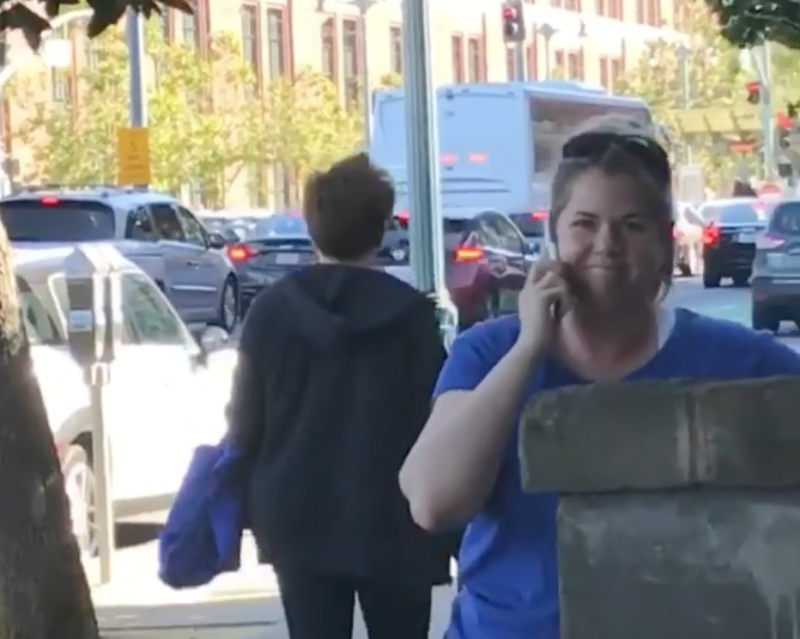 In a recent interview with NBC News, Alison Ettel—the rogue canine-cannabis dealer who has been dubbed #PermitPatty by the unrelenting and unforgiving internet—said that she regrets how she handled the situation with her 8-year-old black neighbor who was selling bottled water in order to earn money for a trip to Disneyland. Ettel said that if she had it to do over again, she would just take a walk. It now appears that amid all the backlash from the viral video that appears to show her calling the police on the little girl, Ettel has decided to walk away from her business, Treatwell Health. KRON-TV reports that in a statement released Tuesday, the company announced that Ettel had resigned. “Allison Ettel, CEO of Treatwell Health, has resigned, effective immediately. This decision, while not an easy one, is in the best interest of their patients,” the statement said. That decision is apparently affecting more than just the young girl and her family. As reported earlier on The Root, at least six companies cut ties with Ettel’s business as a result of the viral video. Meanwhile, both Ettel and her company spokesperson maintain that her actions that day had nothing to do with race. “In a heated moment, a critically wrong decision was made by our CEO. The guilt lies in that decision, and while it was completely wrong, the act that followed was not motivated by any racist intent whatsoever,” the company’s statement said. While it is entirely possible that Ettel doesn’t hate black people, it has to be said that at this point everyone understands how police have been weaponized against black people in this country. Somewhere in Ettel’s mind, she likely thought that invoking the police would force the young girl and her mother into compliance. That didn’t work, of course, and now we are here. Ettel said that she has received death threats since the video went viral, and while that is unfortunate, it is also a lesson for her in how her actions—especially when they’re as egregious as this one—have consequences.